Over the summer I was finally able to bring my family to the Boston Museum of Science. My kids are at the perfect age to enjoy and explore the exhibits and activities: everything from the dinosaurs to the electricity, the explorations of sound and space. We saw a show at the Omni theater and the planetarium and got to enjoy Popnology too, seeing a Delorian along with other fun memorabilia from one of my family’s favorite movies, Back to the Future. 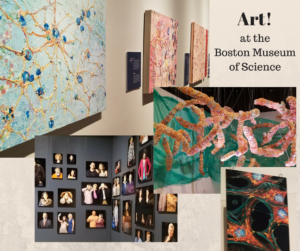 I was amazed at the various art pieces displayed and emphasis on how art is truly an expression of science and human emotion coupled together in beautiful visual representations. Different colors in one series of paint on canvas represented cellular energy production in people with mental illness. Layering textures and colors in clear resin displayed some of the symptoms including psychosis, depression, anxiety and mania. A huge suspended sculpture of the full human DNA sequence was created with accurate proportions. And the entire back wall of the exhibit featured 99 photos of people affected by mental illness either directly or because a loved one suffered from it. Walking into the exhibit, being open to experience the artwork, you were able to experience the scientific and human impact this ever-growing disease has on our culture. Through the careful study of the colors and textures you are able to question what is happening both scientifically at a cellular level and emotionally in the people who deal with this disease every day. That is what art does. It makes you think, ponder, question things… in order to help you understand. For the artist, they are able to explore their own understanding and then express meaning to others. For the interpreter, they are left to question their own understanding of what is portrayed, show empathy and make connections with the content and the artist. 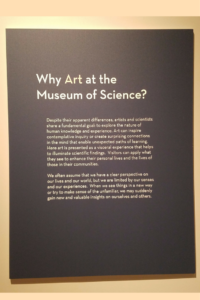 “ Why Art at the Museum of Science? Despite their apparent differences, artists and scientists share a fundamental goal: to explore the nature of human knowledge and experience. Art can inspire contemplative inquiry or create surprising connections in the mind that enable unexpected paths of learning. Here art is presented as a visceral experience that helps to illuminate scientific findings. Visitors can apply what they see to enhance their personal lives and the lives of those in their communities. 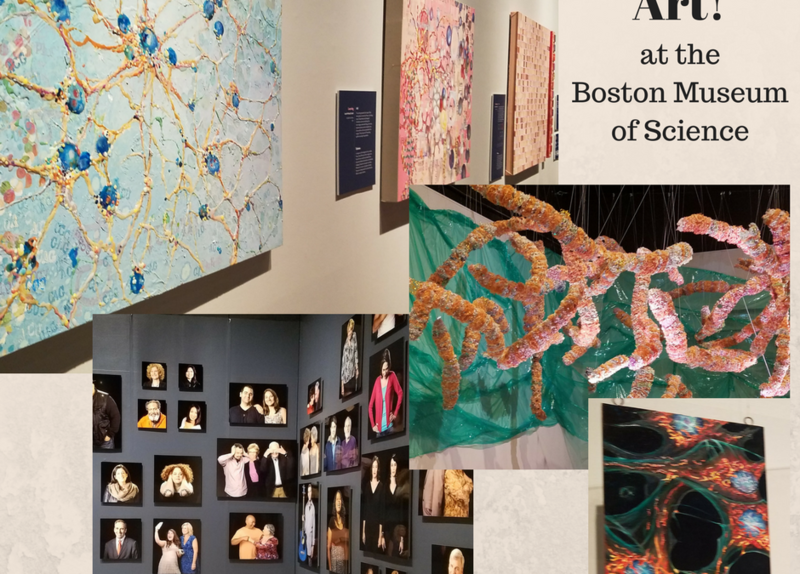 I applaud the Boston Museum of Science for having such a beautiful art exhibit and I’m so glad I happened upon it during my visit! Many Faces of Our Mental Health was be on display through February 11, 2018.